Lost dog. 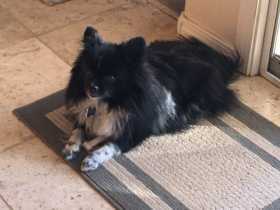 Pomeranian mix. 10 yrs old. Lost in South Reno, NV. His name Is Ricky. He is a 10lb beloved family member. Please help bring him home. Thank you.